With EU nations throwing away 88 million tonnes of food a year, a group of experts from 13 countries have launched a platform to share knowledge with consumers, producers and retailers in the hope of bringing that figure down. The food being wasted in Europe would be enough to feed all the hungry people in the world twice over, according to European Commission figures from 2015. To tackle the issue, a consortium of experts has launched an online community to help tackle the problem. 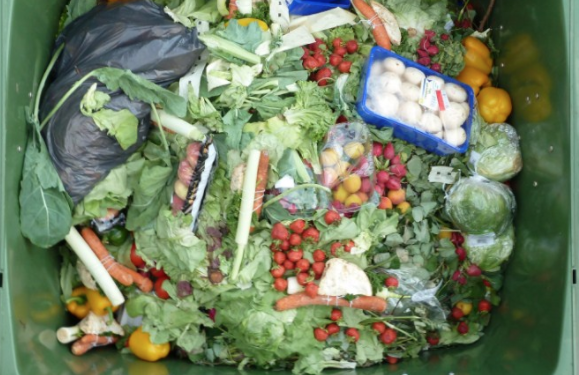 Set up as part of the EU-funded REFRESH research project, the aim of the REFRESH Community of Experts was to provide a platform on which to share expertise and promote a collaborative approach to combatting food waste. The project was developed by REFRESH in cooperation with the European Commission’s EU Platform on Food Losses and Food Waste. The platform contains a wealth of information about food waste across the EU, and about solutions dedicated to reducing it. It features resources aimed at retailers, manufacturers, employers and customers, including audio files, infographics and research reports. Animated campaign videos encourage people to ask restaurants to package up leftovers for them when eating out, and to use common sense when looking at best-before dates. A mapping tool allows manufacturers to identify opportunities for reducing waste in the production process, while a redistribution framework is intended to help providers adapt their own processes for handling surplus food. Substituting animal feed with agricultural by-products and food we currently throw away could have significant effects on the amount of grain available to feed people. The website contains a tool that allows producers to see if their waste could be used as animal feed, and describes the relevant regulations for farmers and others in the food chain. By making these resources freely available to organisations and individuals, the REFRESH community of 120 experts aims to help drive action at every level of the supply chain. It offers users a space to find and share information about new approaches to reducing the volume of surplus food generated, feeding hungry people, and diverting food and scraps to the most beneficial use. According to REFRESH coordinator Toine Timmermans, the project aims to contribute to building a responsible, sustainable food system through reducing waste and improving the value of unavoidable side streams. The new platform will bring together a network of committed people to work on scalable solutions to the problem through sharing inspiration, insights and evidence. Led by Wageningen University in the Netherlands, REFRESH (Resource Efficient Food and dRink for the Entire Supply cHain) brings together 26 partners from 12 European countries and China. Partners include universities, research institutes, businesses, governments and civil society, working towards contributing to the Sustainable Development Goal 12.3 of halving per capita food waste at the retail and consumer level and reducing food losses along production and supply chains. The project consortium consists of an interdisciplinary team with in-depth knowledge and a proven track record in cross-border research projects.